But the process and what men can benefit most from may differ from what women need. Our own skilled and knowledgeable physician’s assistant, Valerie Dailey, sheds some light on a subject usually left in the dark. What are the best facial moisturizers for men? Women’s skincare is highly known for the sheer amount of moisturizing and skin hydrating products. Valerie believes men’s skincare should focus on something else. What should be a man’s focus in skincare? Men’s skincare doesn’t need to be as extensive as women’s, but it should still be effective at treating their skin with what they need. A simple regimen, like SkinMedica’s RegiMEN System, is perfect for providing men with the optimal skin care. “For some men, keeping it simple can be a goal. Exfoliant wash in the shower, retinol at night and sunscreen in the day. Maintenance peels and Botox through the year. What are some popular cosmetic skin treatments for men? Contrary to popular belief, men can often benefit the most from cosmetic treatments, so long as they’re specialized to fit their skincare needs. While many believe Botox is solely used for women to look and feel younger, there are plenty of other benefits men can experience through a Botox treatment, as well. How is men’s skin different from women’s? How can men make their skin look younger? Should men use an exfoliating face wash? We’ve established men should indeed was their face but what type of facial cleanser would they benefit from most? One with an exfoliant may be the most beneficial. Everyone should practice safe, effective skincare – including men! While many of the processes for skincare between men and women are similar, the differences in your overall skin textures and needs must be met accordingly. Valerie Dailey is a board-certified physician assistant for Apex Skin. She takes great importance in patient education and has ranked in the top 10% of the Press Ganey Provider Communication scores nationally. 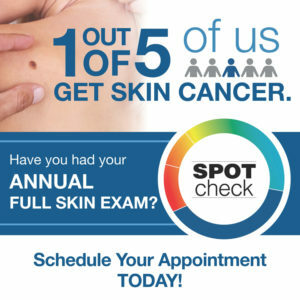 Valerie’s interests include skin cancer screening, common skin problems (acne, warts, cysts, etc.) surgical biopsies and excisions and laser hair removal.